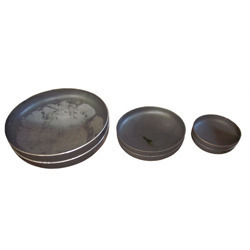 We are able to gain immense expertise in rendering Dish End Fabrication Service to clients. These Dish End Fabrication Service are highly admired among the respectable clients, owing to reliability, flexibility and credibility. In addition to this, specialized security service offered by us are rendered by hard working experts, who make sure to utilize commendable knowledge and rich experience in this domain. Established in the year 2007, we, “Brilliance Engineering Construction”, are a renowned name, which is engaged in rendering Scaffolding, Fabrication, Sandblasting, Erection & Industrial Plant Services. Under this, we provide Fabrication Of Steel Chimney, Dish End Fabrication, Fabrication Of Pipe Line Works, Storage Tank Fabrication, Site Development Work, Storage Tank Erection and Pipe Line Erection, to name a few. These services are rendered using premium grade raw material such as stainless steel and innovative technology. Our personnel ensure to render these services as per the diverse requirements of esteemed clients accordingly. Along with this, the offered services are widely appreciated among the clients for its reliability, flexibility, timely execution and promptness. Our personnel also ensure to keep a close look on the execution of these services on different parameters so as to maintain their authenticity throughout the execution process.